The Elder Scrolls are prophecies of the ancients in the land of Tamriel, a world consisting of one huge land mass and several nearby islands. Morrowind, aka The Elder Scrolls III, took place in the eastern region by the same name. The fourth in the series, Oblivion, played out in the Imperial Province of Cyrodiil. Now, in The Elder Scrolls: V, we'll be traveling to Skyrim, home of the Nord race. 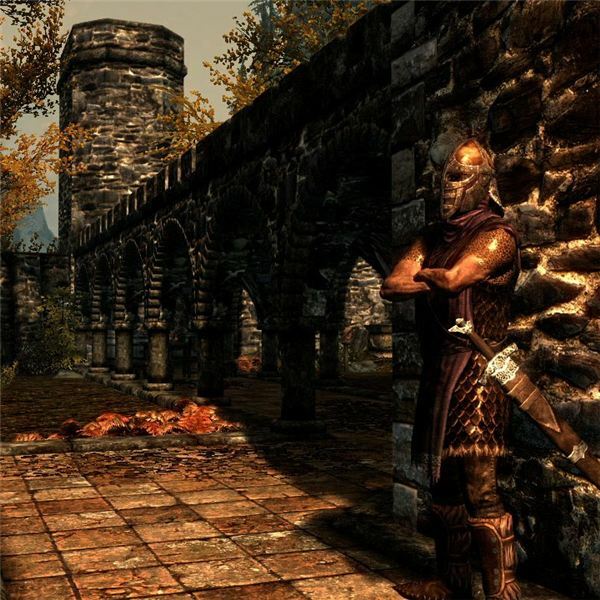 Elder Scrolls games are known for their expansive locations, encouraging to adventurers, and for introducing mind-blowing RPG elements new to the genre with each subsequent release. That's not about to change in Skyrim, as the experience is exhilarating from the opening sequence. Character creation will also happen a bit differently, while the exact method is something the development team is keeping very close to the vest. Your character is the Dragonborn, a hero of which the Elder Scrolls prophesied. If you played the two previous games, you'll remember that your character was a prisoner in both, jailed for a never-revealed reason. In this game, you're on your way to Skyrim for your execution when a timely pardon arrives. The atmosphere is rife with the split of the Nord race, some of whom would prefer to secede from the Empire. Others believe that it's worth saving, and are fighting to hold on to the unity. You'll explore five main cities, each of which islocated in separate cells. You'll see a loading screen as you enter and exit, much like Oblivion. Scattered throughout the land are also more than 150 smaller towns and locations, each of which is snuggled seamlessly into the landscape. You'll be able to fast-travel from one location to the next via carriages, and you can also choose to walk or ride horses that are either purchased or stolen. Your character can buy a house, wed nearly anyone, and then co-habitate with his or her spouse. Engaging an NPC in conversation will no longer pause the action around you; instead, these interactions will take place in real time. You can also find a number of quests by witnesses the interactions between NPCs, whether that's a murder, street-brawl, or just an overheard conversation. You'll still be choosing your race and gender for the creation of your character, but you'll no longer chose or even create a "class." An immediate impact of this is that you won't be choosing a set of skills you'll use most often that will level quicker than others. And while you'll no longer choose your star sign as an element, you will be able to see your advancement in skills and levels by watching the constellations in the sky at night. While Morrowind had 27 skills and Oblivion slimmed that down to 21, Skyrim trims the bloat even further to a tidy 18. Some of the skills you'll remember from Morrowind and Oblivion; others have changed, split, combined, or even completely disappeared. Each of the usual archetypes of Warrior, Mage and Thief has its own coordinating crafting skill. For Warriors, its the Smithing skill. Because your armor and weapons will no longer require repair, you'll be using this skill to create new stuff. 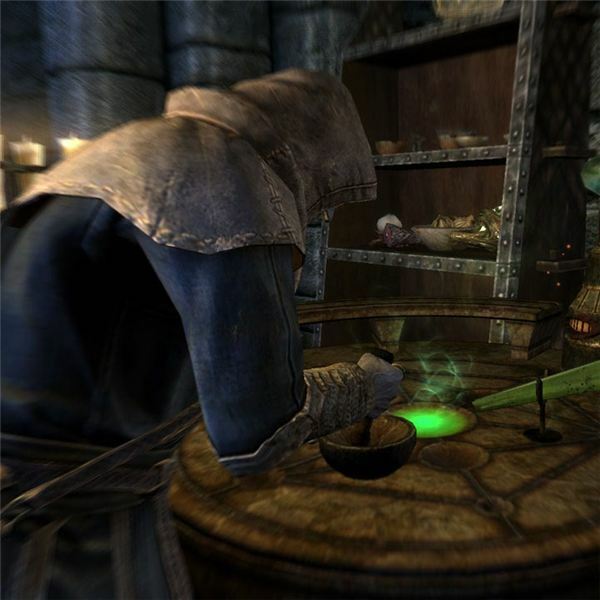 Thieves will assume a mastery of Alchemy, and Mages will rejoice in the streets with the return of the Enchanting skill. Weapon skills have undergone the most changes. Instead of Blade and Blunt, you can level up One or Two-handed weapons. Hand-to-hand, Athletics and Acrobatics have been removed, as has the Mercantile skill. The Mysticism skill has had its spells re-allocated to other magical schools. Marksman is now called Archery and Security is referred to as Lockpicking. All other skills from Oblivion return, although we can expect to see some new spells, abilities and effects in each. As you level up your skills, your character will advance in level. The skills themselves will have perks that can be chosen, much like the Fallout games. The factions, which are such a big – and awesome – part of Elder Scrolls games, have a few changes in relation to the location and setting of Skyrim. 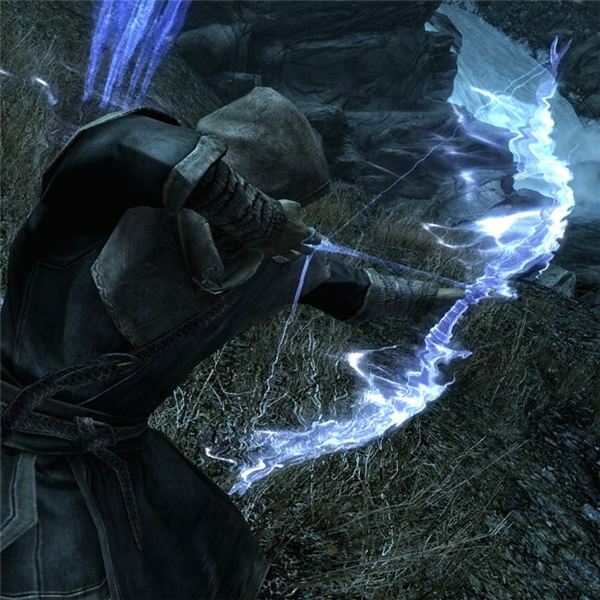 Along with the returning Thieves Guild and Dark Brotherhood, you can also run into members of the Companions, a mercenary guild, the College of Winterhold, a group of magicians; and the Stormcloaks, who are Nordic rebels. Expect much more variety in voice acting, with more than 70 actors used at last count, and in dungeon design. The Skyrim team allowed mulitple designers to create the dungeons, instead of the single dungeon designer on the Oblivion development team. The NPCs have also become smarter. 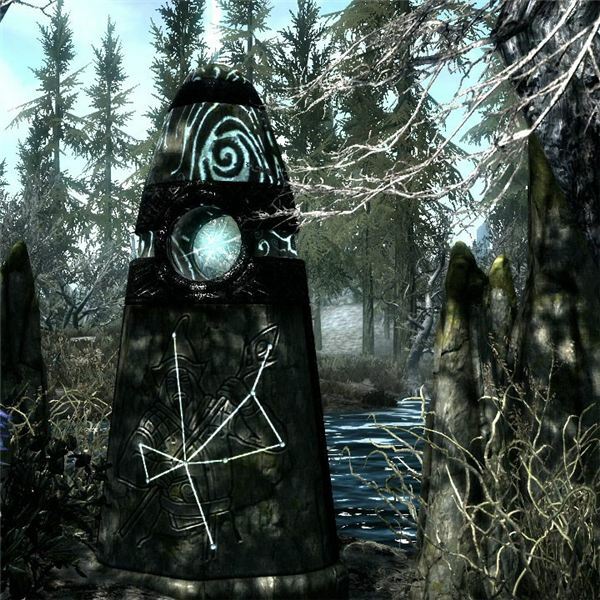 Players have become familiar with the theft and trespassing laws in the Elder Scrolls games, and the residents of Skyrim are not about to stand idly by and let you wander in and out as you choose.